Cancun Bachelor Party: Why Go to Cancun? You’ve given her the ring, set the date, and reserved a venue. Not it’s time to plan your bachelor party. Bachelor parties are a pre-wedding “rite of passage”. You don’t want to have just any ordinary party – you want it to be epic. While you have common party destinations like Las Vegas and Miami, you may want to consider a more unique option. Cancun has quickly become a go-to for bachelors in search of an affordable, yet unforgettable party location. With endless opportunities for relaxation and adventure, a Cancun bachelor party may have everything you’re looking for. Cancun sits on the northeastern coast of the Yucatan Peninsula in Mexico. The beautiful city is adorned with sandy white beaches, historic Mayan ruins, and pristine coastlines including the famous Riviera Maya. 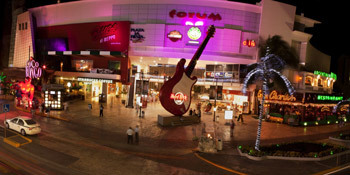 In addition to discovering all of Cancun’s must-see attractions, there are also a plethora of entertainment options. While staying at an all-inclusive resort, guests have the chance to shop, dine, and enjoy the local nightlife scene. Cancun is the ideal place for bachelor parties to stay, especially in the city’s Hotel Zone which caters to travelers who come to Cancun to party. There are zillion vacation packages all over the internet from Expedia, offering exclusive deals, to small local businesses like Cancun VIP but we would recommend you to choose a local guide who knows the area, hang out with you during your trip and protect you from the evil, don’t forget you are in a third world corrupt country, the expedia package can’t save you from troubles but the local VIP host could. The adventures never end when you’re in Cancun. From deep sea fishing to driving ATVs through the jungle, there’s always something new and fun to fill your days. If you’re looking for outdoor activities to do during your bachelor party, look no further than Cancun. The city offers bachelors unforgettable adventure opportunities, such as zip lining, private boating trips, cave tours, luxury sailing, snorkeling excursions, water park attractions, helicopter tours, hot air balloon rides, and much more. No matter what you like to do, there’s sure to be something that sparks your interest. No bachelor party is complete without a little bit of rest and relaxation. In Cancun, it’s easy to let loose and relax. Spend your day playing a laidback game of golf or take your time as you comb through the Mayan Ruins that spread throughout the region. For men who don’t mind a little pampering, many of the upscale hotels in the area have full spas where you can get a massage, facial, or other treatment to have you feeling your absolute best. Shopping and dining are also plentiful in the city’s main tourist areas. One of the biggest advantages of staying at a hotel in Cancun’s Hotel Zone is the plethora of all-inclusive packages. The city’s all-inclusive resorts cater to bachelor parties in need of a stress-free party package that includes upscale accommodations, entertainment, and more. These hotels offer only the best in amenities, from their private Jacuzzi tubs and balconies to their premium bars and incredible ocean views. Some resorts in Cancun also offer ultra-lavish penthouse suites for bachelor parties who want to throw an epic party in their own private and ultra-spacious suite. No matter where you stay, you’re sure to find accommodations that meet your needs. After enjoying a full day of fun and activities, it’s time to enjoy the city’s amazing nightlife scene. From theatrical shows and performances to roof-top bars and nightclubs, there’s something for everyone come nightfall. If you don’t want to stay in one spot throughout the night, consider renting a limo to bring you around Cancun or reserve a spot on a hopper tour which provide safe and fun transportation to a variety of venues throughout Cancun. With all there is to do, see, and experience in Cancun, it’s no surprise that this amazing city is quickly becoming a go-to destination for bachelor party groups.